If you have ever wanted to put your kid on a leash, this is the product for you. 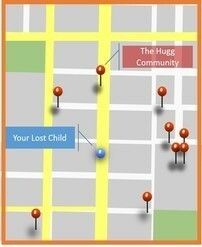 Hugg uses new advanced micro-location technology to help keep your kids close at hand and out of harm's way. Use Hugg to keep your child from wandering off when you're not looking. Hugg shows you where she is and points you right to her. If you need some help, you can ask the"Hugg community" to lend a hand. 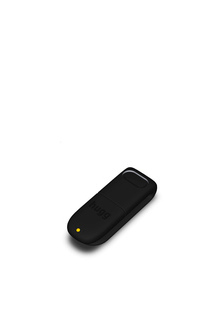 Attach the Hugg beacon to your kid's clothing or slip it into their pocket and you're ready to go. Leave the kid leash at home! 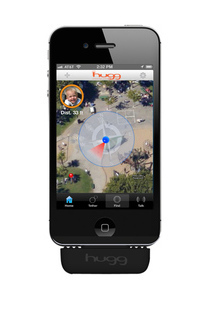 Now you can use Hugg to keep you child from wandering off when you're not looking. No more running in circles looking for your kid. Hugg shows you where she is and points you right to her. 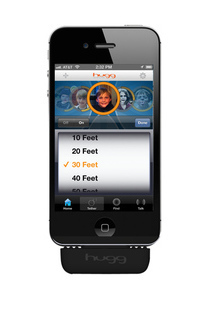 They say it takes a community to raise a child, now Hugg can use a community to help keep your child safe. While Hugg works great on its own, it becomes even more effective at locating a child by networking with the smartphones of those in your community. Should you lose track of your child, Hugg’s proprietary location software looks to “crowd source” your child’s location from the smartphones of the registered users in your network. Or, if you choose, you can ask Hugg to alert users outside your community as well. Hugg Technology is a micro-location solutions company working with cutting edge technology to create products and services that help safety conscious parents keep their children safe and sound. You can find out more about our company by reviewing our company profile on Angel List. Or, you can contact us directly. Whether you are at home or visiting friends and family, there are always places you don’t want your toddler to go. 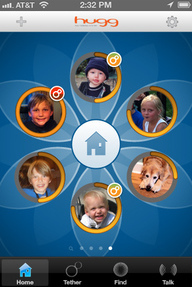 Use Hugg’s virtual gate feature to help keep him away from danger. Help keep your child moving and building healthy habits by monitoring her activity. Use the Hugg app to create goals to keep her challenged. Use Hugg to monitor your sleeping baby. You can know important things like how well she is sleeping, if she is on her back or belly and when she is awake and ready to get up.